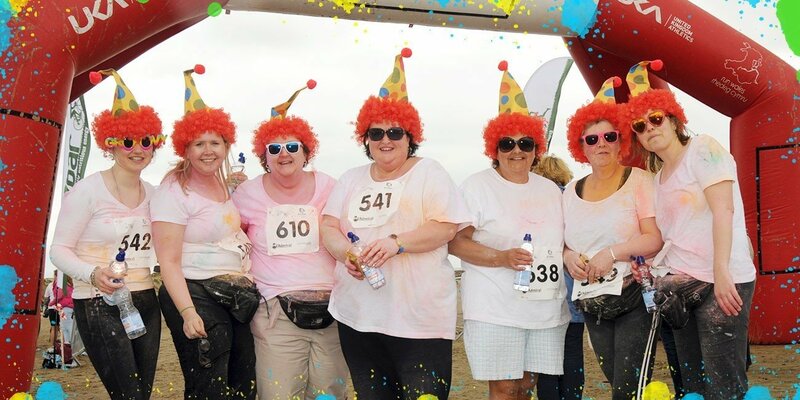 get your tickets for the final rainbow run now! 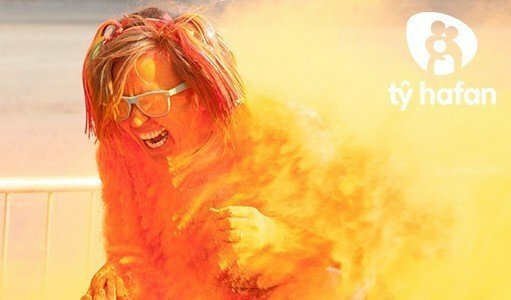 Tŷ Hafan's final Rainbow Run is a 5km colour run (or walk), where along the route participants get showered with different colours of powder paint. It's a fun and crazy way to spend a few hours, whilst helping a great cause! 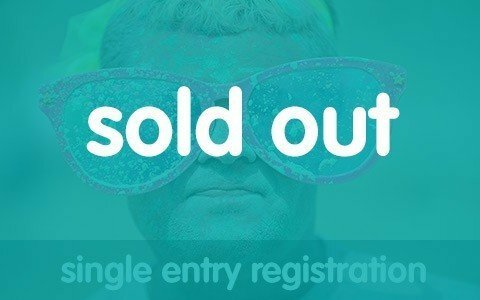 Register for the Swansea Rainbow Run now! To make registration on the Event Day quicker, please sign and hand this disclaimer in at the registration desks. "What a wonderful way to raise money and getting the youngsters involved. Well done to everyone..."
"Had a fantastic day on Saturday. A really fun way to raise money for a very worthy cause. " 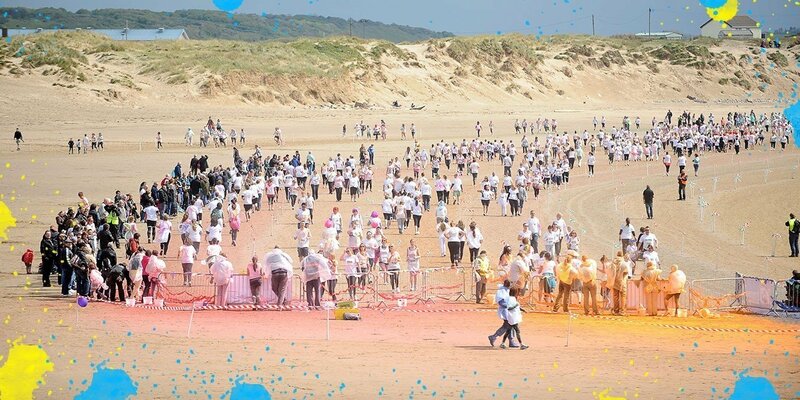 Take part in our last Rainbow Run on saturday 28 april at swansea bay beach. 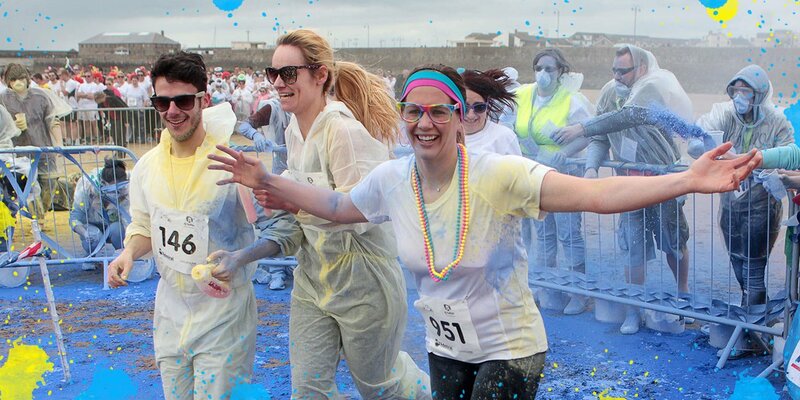 Come along wearing a white t-shirt (and running gear you don’t mind getting messy) and you will leave with a smile on your face and every colour of the rainbow! 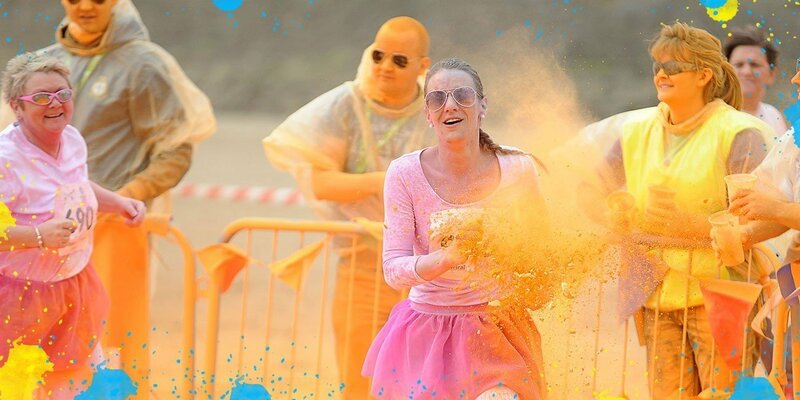 You’ll run through stations of colour where you will be showered with different coloured powder paints. You don't have to be an Olympic athlete; a reasonable level of fitness will get you round the 5km route, with a lot of laughter helping you along the way. 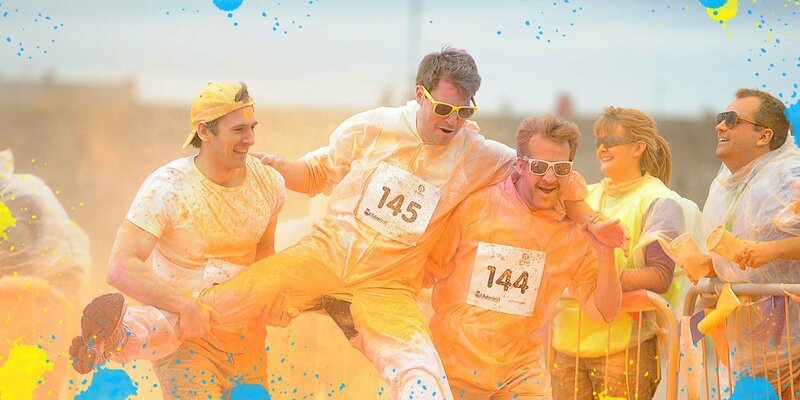 Rainbow Run is not a race, nor is it about speed or fitness; it’s about celebration, having crazy fun with friends and raising a smile for your Tŷ Hafan. Tŷ Hafan is a magical place, full of fun and laughter and not what you might imagine a hospice to be. We aim to make the very most of the precious time that our children and families have together. That’s why we think that the Rainbow Run is the perfect way to celebrate and support the work we do. don’t delay, book your place today, as this event is a sell out! Remember you can get your official rainbow run merchandise before the event here. 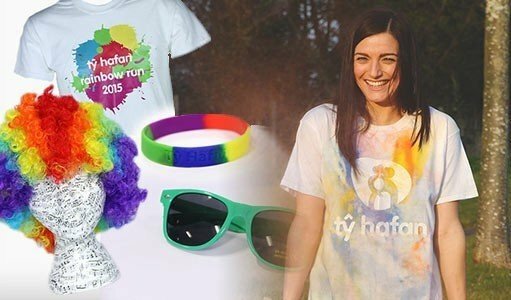 We have everything from Tŷ Hafan sunglasses and official t-shirts to fantastic rainbow wigs and colourful tutus! You can also save money and get our official rainbow run kit which has a fabulous selection of merchandise to kit you out for the run! 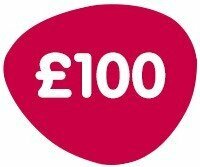 100% of the profits from your shopping go directly to tŷ hafan. On the day every participant will be given a bottle of water to start and finish, as well as your very own special event medal as a thank you from us and item of food. To take part we ask each participant to aim to raise a minimum of £50 in sponsorship or make an equivalent donation upon registration. Under 16’s please aim to raise £20 in sponsorship. Please note that your entry fee only helps to cover our event costs. By raising sponsorship or donating to Tŷ Hafan you will be helping to provide care and support for life-limited children, young people and their families helping them make the most of the time they have left together. Can pay for an hour of play therapy to encourage families to interact and play together. Could pay for an hour of music therapy giving children the chance to spend time together that they'll always remember. Could pay for three hours of physiotherapy to ease a child's pain that they are experiencing. Those that raise more than £50 each will be in the running to win an exclusive prize. 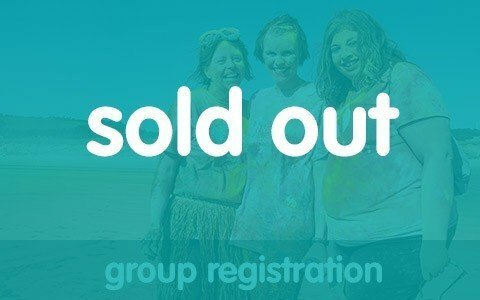 Register today and be part of our fantastic Rainbow Run, as well as supporting ordinary people in extraordinary circumstances through Tŷ Hafan.